Alpha Sigma Alpha adopted Special Olympics as a philanthropic partner in 1976. Each year, the Special Olympics touches lives in hundreds of communities across the nation and around the world, and each year Alpha Sigma Alpha members make a difference to this organization. For more information on how your chapter can get involved with Special Olympics, visit the Special Olympics website. 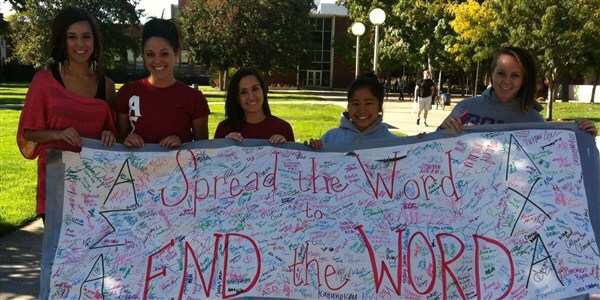 In 2009, Alpha Sigma Alpha joined the Special Olympics’ campaign to “Spread the Word to End the Word”, an effort encouraging people nationwide to stop using the derogatory word “retard.” The campaign is devoted to educating and raising awareness about individuals with intellectual disabilities and the offensive use of the “R-word” in casual conversation. Alpha Sigma Alphas across the country challenge everyone to think before they speak. Collegiate and alumnae chapters participate by encouraging other students, co-workers, friends and family to pledge to stop the use of the word. In addition, chapters help support the campaign by hosting events in the community and on campus each year. Start planning for your next Spread the Word to End the Word campaign! 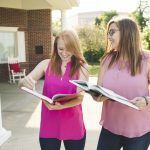 In collaboration with www.R-word.org, Alpha Sigma Alpha Sorority encourages alumnae and collegians to use the following resources to host your next Spread the Word to End the Word campaign. Alpha Sigma Alpha collegiate and alumnae chapters, associations and groups can use these tools year-round to host a Spread the Word to End the Word day of awareness in your community. If you have questions, please email info@r-word.org or call 1-800-700-8585. Holding a school or community R-word event? You can find R-word Activation Tool Kits at www.r-wordstore.com along with individual merchandise items for sale like t-shirts, stickers, bracelets and much more. The Polar Plunge®, or Polar Bear Plunge, is a fundraising event held by local state Special Olympics headquarters or affiliate organizations where people raise money before jumping, or taking the plunge, into a pool, lake or ocean. These events are commonly held from October to March. This event is wildly popular among Alpha Sigma Alpha chapters across the country. Chapters register teams to take the plunge and dress up in ladybug costumes while doing so. It is a fun, unique and memorable experience many members enjoy and continue after partcipating in after graduating college. To volunteer or take the plunge, visit your local Special Olympics office website for details.